The four-stage purification system. 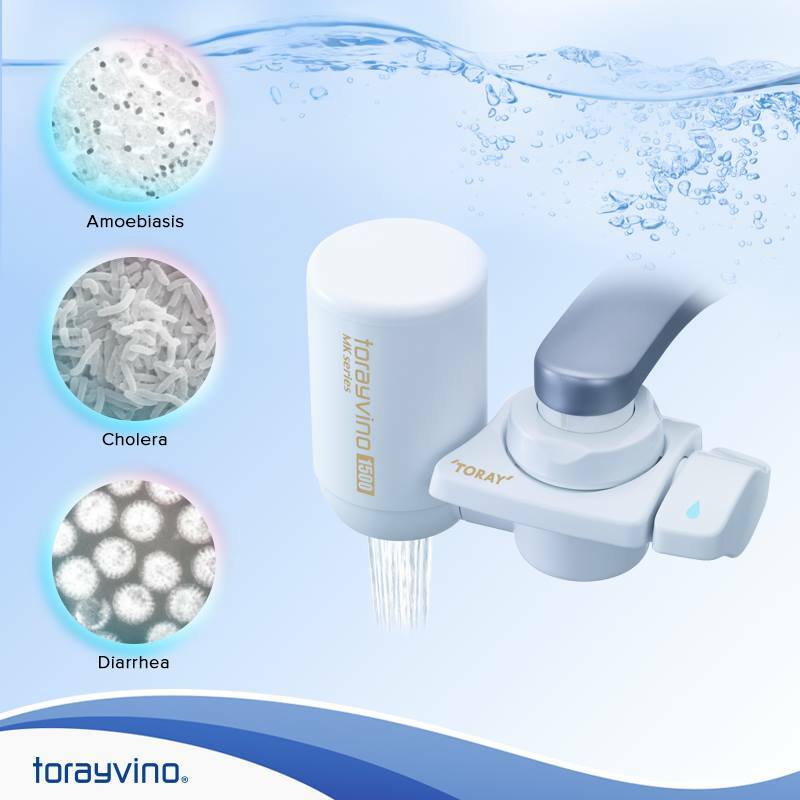 Producing a 99.99 percent bacteria-free water is, without any doubt, possible with Torayvino. This is because of its four stages of filtration. At first, when the water undergoes the prescreen process, impurities larger than 465 microns, such as rust, sands, sediment and particles are initially taken away. Those larger than 114 microns are then removed in the second screen. Elimination of residual chlorine, harmful chemicals and bad smell comes next as the water passes through the granular activated carbon. It is the optimal hollow fiber membrane structure that lastly removes contaminants larger than 0.1 micron, including the bacteria and other microorganisms, rust, turbidity, and microscopic impurities. This technology, which is also used in dialysis machines and artificial kidneys, provides low elution and high flow rate of water. Interestingly, calcium, magnesium and other essential minerals are retained even during filtration. So demineralization of water is never a problem with this kind of technology. Powerful yet compact. Being a faucet-mounted water purifier, Torayvino is so handy and small that it fits at the palm of your hands. It is easy-to-install, without the need for plumbing. 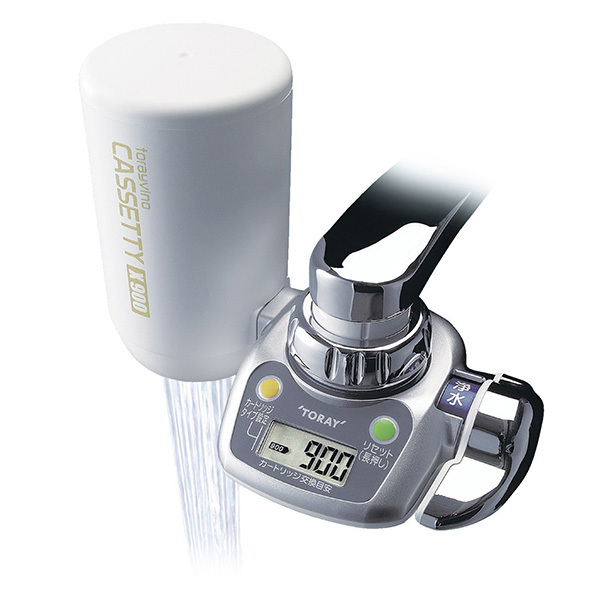 Each unit has a set of attachments designed to match any size of kitchen faucets available in the market. It is indeed space-saving, compact and portable, perfect for condo residents, particularly those who dwell in smaller units. 3. Pocket- and Earth-friendly. This technology is more reasonable than what you can get from water delivery. While each of Torayvino’s four models is priced from P1,980 to P4,980, it actually offers savings in the long run since it only costs the buyers P0.92 per liter, versus P1.85 a liter for water bought from refilling stations. Unlike other water purifiers, it’s more eco-friendly due to its unfiltered spray that allows consumers to save water up to 30 percent. What’s more, it operates without electricity, thus helping minimize the household carbon footprint. Trusted technology. Made in Japan, users cannot go wrong with Torayvino in ensuring the health of their family. This holds true to the most technologically advanced country’s global reputation for quality and attention to details. Such confidence is further sealed by the brand’s conformity with the Japan Industrial Standards. Not to mention, of course, is the certification and approval it gained from the Philippine Department of Health. These are what set it apart from majority of water refilling stations on record that is not consistently compliant with the government-imposed registration and operation requirements. Leading brand. Manufactured by a diversified company called Toray Industries, Inc., this purifying solution has a strong presence in Asia, Europe, Middle East, North America, Central America and South America. It’s a dominant brand in Japan, with 66 percent share of the market for the faucet-mounted type. In the Philippines, this product is exclusively distributed by homegrown company Moduvi, Inc. Currently, it is available in modern hardwares like True Value and All Home, as well as condo-partners. Hooray for Toray! This multinational corporation packed the most technologically advanced and efficient features in the compact Torayvino Water Purifier, making it a truly relevant product of its kind in today’s time. Next story Bob Returns for Tekken 7: FR! New Character Master Raven Announced!